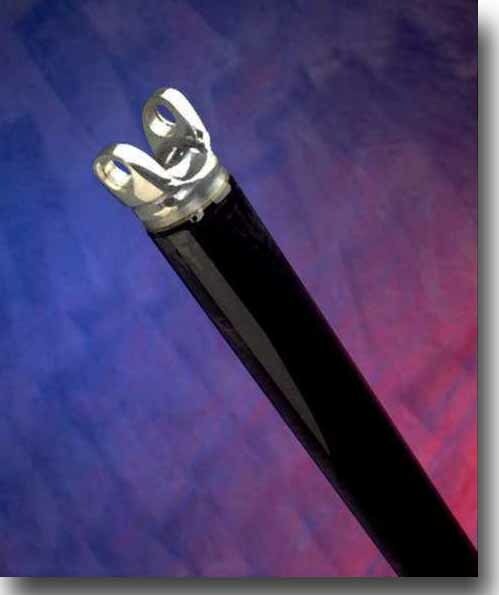 Advanced Composite Products and Technologies (ACPT) has a carbon fiber drive shaft for FC/FD's. See their site for more info. Their regular price is $947. Group buy price for 3+ is $747. Shipping to the US is approx. $10. It WON'T add horsepower but has other benefits. For the drag crowd, it's a good safety feature. >The u-joints on my driveshaft are kind of notchy. Is it repairable? Some shops can repair them but when I looked into the cost and the potential for problems it made more sense to me to just buy a new one. I spoke to Rotary Performance about this and they were aware of some aftermarket shafts but their experience was that they didn't have the reliability of the stock part. They also indicated that they have run stock driveshafts on their drag cars for sometime and they are never an issue. Given how long the stock part lasts even under pretty abusive conditions I really think it's worth the extra money. It's very common for Jeep guys to have custom drive shafts made and I was surprised how cheap that was to have done. You might try an off-road Jeep shop to see who they recommend for drive shaft repair. I don't know if it will work out, but it's something to try. The stock shaft is not repairable, or not worth it as has been pointed out. The stock shafts seem to get notchy after a while. It's no suprise, but this seems to be a common replae-it-while-its-out thing during clutch changes, engine rebuilds, etc. Mazdatrix (http://www.mazdatrix.com/) sells shafts with replacable u-joints for less than I have ever seen the stock shafts go for. I've had one on my car (~370 RWHP) through 25K miles of abuse or so. No problems yet.